Painting a rug sounds like an extremely challenging task that only an artist should undertake. In reality, painting a rug is a pretty simple do-it-yourself project that anyone can tackle with some fabric paints. As with any painting project, the most challenging part is the careful preparation. Once you have decided on paint colors and a design, you can have a brand new rug in just a few hours. Vacuum the [rug](https://society6com/rugs?utm_source=SFGHG&utm_medium=referral&utm_campaign=8775) thoroughly to remove all dust and particles that might interfere with the paint's ability to bond to the rug. Remove all furniture from the rug. Lay the rug out flat on a large sheet or drop cloth. 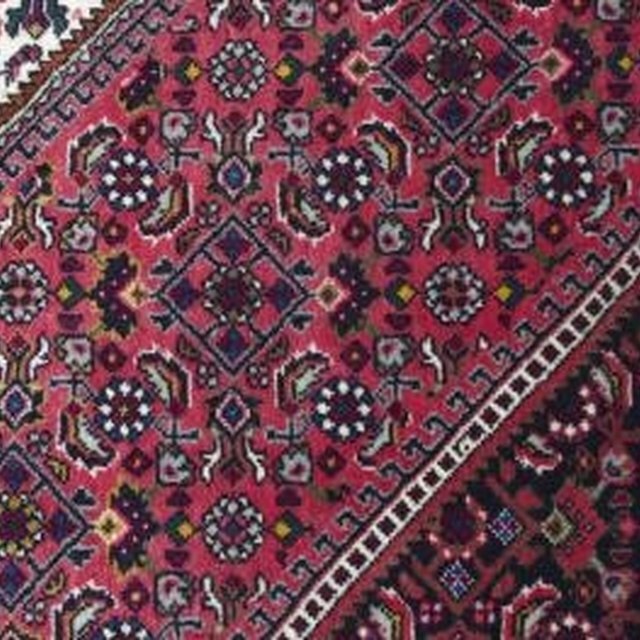 Rugs are porous and the paint will soak through and ruin the floor beneath if you don't take precautions. Lay down tape or stencils to create the pattern and design that you have chosen for your newly painted rug. Make sure that stencils are securely taped so that they lay flush with the carpet and will create a seal so that the paint won't seep under the stencil. Pour the paint out onto a paper plate. Use a different paper plate for each color to prevent unwanted mixing of colors. Use a sponge to lightly stamp the paint onto the rug. Use a thin coat to prevent the paint from seeping under the tape or stencil. Allow the paint to dry to the touch and apply additional coats as necessary until you get the color you desire. Allow the paint to dry for two to three hours. Carefully remove the tape. Pull slowly at a 15 degree angle to avoid peeling the paint. Fabric paint is only one type of paint that you can use to paint rugs. Acrylic and latex paints also work well. Fabric paint is the best choice for washable rugs for bathrooms and kitchens. If your rug is a washable rug, be sure to wash it before painting. Do not use fabric softener.